You can also submit lightning talks. Lightning talks don't have to be about Dancer or even Perl. They might be serious, funny or both. Never spoken at a conference before? Then here is your chance. Programming the web with Dancer. The fee for the training is 100 EUR, and the minimum attendance is 6 persons. 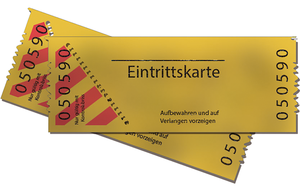 You get the tickets here. 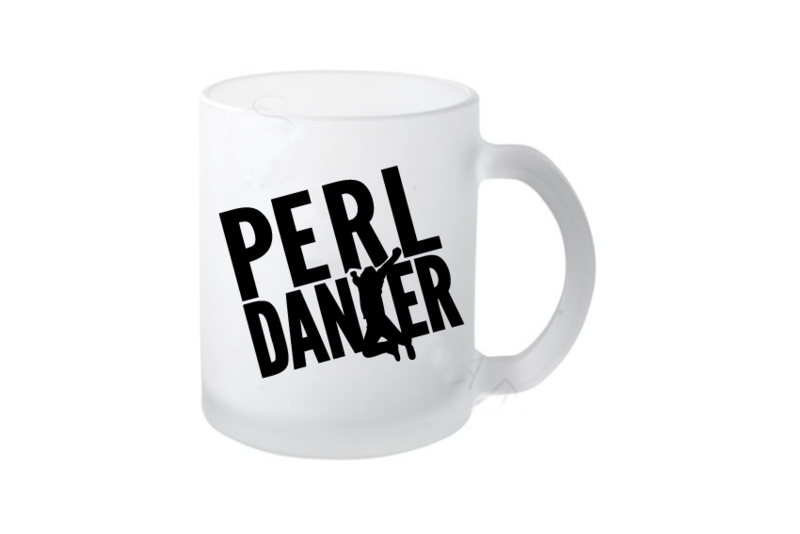 All speakers and participants are entitled to a limited edition of a Perl Dancer mug. Rush, it isn't too late to register for the conference. Geekuni provides Perl training for professionals and joins us as bronze sponsor. A lot of thanks for helping us turn the Perl Dancer Conference into a truly amazing event! Need your team to tune into the Dancer beat? Enrol them at Geekuni ! we would like to remind you about our Call for Speakers for the upcoming 3rd Perl Dancer Conference in Vienna, 21st and 22nd September. Join us in Vienna and have fun with an amazing presentation. There is absolutely no need to stick to a Dancer or even a webapp theme, just pick something that will entice the attendees. The deadline for submissions is the 30th August. However, as we accept talks as we go, this might be too late. So share your experience, tell us about your awesome ideas and best practices. Last but not least we offer free admission to the conference including free T-Shirt and social event for all speakers (except lightning talks). Please contact 2016@perl.dance if you have any questions. Ticket pricing - Free admission for speakers! The reduced rate applies to students, newbies and special guests. Please ask us about the specific conditions at 2016@perl.dance. Tickets will be available in a few days. We are looking forward to greet past visitors as well as fresh faces to have a lot of fun at the Perl Dancer Conference 2016. We are closing in fast on the 2016 Perl Dancer Conference (DancerCon) held this year in Vienna, Austria September 20 - 22. Sponsoring DancerCon is an opportunity to present your company or association to an international audience of Perl, Dancer and DBIx:Class related developers and business owners. We have a great cast of speakers https://www.perl.dance/speakers from the #dancer community this year including core developers Sawyer X, Stefan Hornburg (racke), Mickey Nasriachi (mickey), Jason Crome (chromedome) and Peter Mottram (SysPete). 2016 has already been a very exciting year for Dancer. This May, Dancer2 0.200000 brought us the long awaited updates to the Dancer2 plugin architecture. A lot of the momentum for this release was the result of last years conference and the continued hard work of many. If your company uses Dancer or is considering it in the future please take a moment and look over our sponsorship page for ideas. Alternatively contact us directly at 2016@perl.dance and we can come up with a custom package for you. Thanks to the extensive work of the Dancer2 development team on the plugin architecture we were able to migrate the Interchange6 Demo Shop with just 10 commits. Racke is comparing the features of the ACT conference system and the Perl Dancer Conference software. 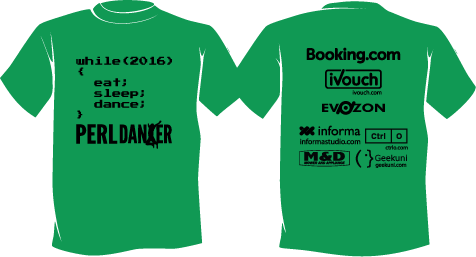 The Call for Papers for the Perl Dancer Conference 2016 in Vienna is now open! We are accepting presentations in a wide range of topics, for example Dancer, Modern Perl, DBIx::Class, Perl "products" and security. Of course, we are open for any idea and submission. The submission deadline is August 30th, midnight CET. Talks are reviewed and possibly accepted as we receive them. 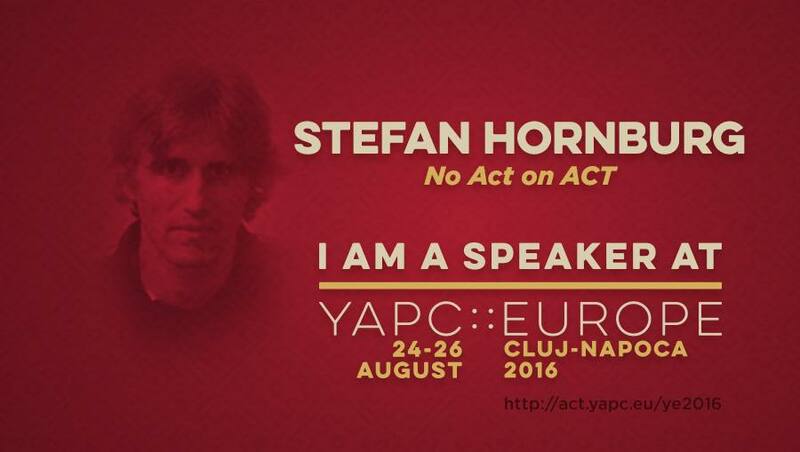 Please use the online form for submitting your talk. Thanks to our sponsors, without their support this extensive coverage wouldn't be possible. Thanks to Amanda Crow at A. Crow Editing for the intricate editing work. The feedback from the speakers and other participants was really encouraging, so we are going to start planning for next year's event in January. Please feel free to make suggestions about venue, schedule and everything else which could be improved for 2016. The post-conference surveys have now been closed and results are available here. If you were a speaker at the conference then you will need to login to see the survey results for your talk(s). As we all return from our travels and reflect on the conference I wanted to take a minute and send out a thank you to all of our 2015 attendees. The conference is an exciting time of year, a chance to meet new people, see old friends, even learn a few new tricks. The feelings of comradery that results from the event is something we should not leave at the conference, but carry on and nurture. This could be as simple as hanging out in IRC channels #dancer and #dbix-class, helping out with advent calendar 2015, or even answering a question the user mailing lists…. STAY IN TOUCH! Feel free to reach out if you have input on the conference, we will also be sending out an event survey shortly. So to close thank you all for making the event something to remember. Your passion and sense of community inspires us all, lets keep the ball rolling into 2016! It takes place at URBAN's Lounge Restaurant, close to Hotel Schani. We have a couple of slots available for lightning talks. Each slot is five minutes long. Lightning Talks may be serious, funny, or both. Please send your subject and a short abstract to 2015@perl.dance. iVouch.com is now a Silver Sponsor! We are going to continue the great news by announcing another Silver level sponsorship! iVouch.com is now confirmed as out latest sponsor for this years Perl::Dancer conference. Generous sponsors like iVouch.com ensures the sustainability of the Perl::Dancer conference. Please take a minute and checkout iVouch's great platform and "Find, share, and vouch for the top local and web-based businesses". Great news just in: Booking.com have very generously agreed to become our first Gold Level Sponsor for the Perl::Dancer Conference 2015 in Vienna. Sponsors are essential to enable us to provide a great conference experience whilst keeping ticket prices low in order to allow as many people as possible to attend. Please show your appreciation by booking your next hotel stay via Booking.com. If you are coming to the conference and haven't booked accomodation yet then here's your chance. Many thanks to Booking.com and also to SawyerX for helping this happen. News Flash - Sponsors, Gurus, and Beer! With less than a month until the 2015 Perl Dancer Conference in Vienna, we have a lot of exciting news. First off we would like to send a special thank you to our growing list of sponsors, without their help this event would not be possible. As a result of their generous donations each attendee to the conference will receive a very cool Perl Dancer t-shirt! Please support these great companies and visit https://www.perl.dance/sponsors for the complete list of event sponsors. It is also not too late to become a sponsor https://www.perl.dance/sponsoring. Contact us at 2015@perl.dance and we will have a team member work out a custom sponsorship for any budget. We are very proud to announce the 2015 Perl Dancer Conference has five Dancer core developers and the primary maintainer for DBIx::Class attending. This is a unique chance to meet the hard working gurus that make Dancer and DBIx::Class great. You know their handles on IRC, now get a chance to put a face with the name. Maybe even buy them those beers you have been promising on IRC all these years. Finally after multiple international conference calls, a few IRC battles and a coin toss we decided to let Peter Mottram (SysPete) do the event scheduling. Thanks Peter! Our final schedule is now live on https://www.perl.dance/talks/schedule. We have a really great list of talks and training sessions lined up this year. Our international list of guest speakers and instructors spans three continents! Tickets are still on sale, don’t miss out! If you are already attending or on the fence please checkout or make comments on our super fun event Wiki. https://www.perl.dance/wiki. We hope to see you all in Vienna this October! Videos from Sawyer X, Russell Jenkins, Andrew Beverly and more! Would you love to see videos from these awesome speakers at the Perl Dancer Conference in Vienna? We really would like to show them to you, but the shooting and the post-production doesn't come for free, so we are searching sponsor(s). Please contact us at 2015@perl.dance - even if you can afford only a smaller amount of money. The submission deadline ends August 31th, midnight CET. Please use the online form for submitting your talk or write to 2015@perl.dance if you need help or more time to prepare your proposal. We already confirmed a number of interesting talks and there are a few more prominent speakers like Peter Rabbitson and Russell Jenkins which are going to present at the Perl Dancer Conference. Sawyer X is your Dancer trainer in a one day course at the Perl Dancer Conference. You will learn about Dancer 1, Dancer 2, writing tests and using middleware. Also Sawyer X teaches you Dancer deployment and best practices. The Call for Papers for the Perl Dancer Conference 2015 in Vienna is now open! The submission deadline is August 31th, midnight CET. Talks are reviewed and possibly accepted as we receive them. This brand new hotel has the amenities which allows to have us lot of fun there, like free and fast wireless network. It is situated ideally in the Belvedere Quarter at Vienna’s new Central Railway Station and can host up to 70 attendees. Please note that the hackathon and the training on Monday and Tuesday takes place in the America House, Friedrich-Schmidt-Platz 2.